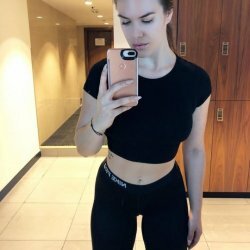 Day 14 | 2 Week Weightloss Challenge! Not exactly happy with my final result as I was aiming to get below 78 kg. during this challenge. Bt as discussed in yesterdays blog post, I hae been fortunate enough to be extremely busy with work and it has effected my sleep cycle (and therefore my energy for exercise) a lot. I will adjust my ambitions to my current work schedule, but I will continue eating healthier and exercising as much as possible. Fresh smoothie in my NutriBullet made from spinach, banana, pineapple, 1 dl. coconut water, 1 tsp spirulina, 1 tsp chlorella, 1 tsp ground flax seeds, 1 tsp liquid omega 3 & 5 drops liquid sweetener. I felt incredibly tired and chose to focus on work. My only exercise was a 45 minute powerwalkwith my morning client at 8 am and some light yoga and stretching with my late morning client at 9:15 am. Pushing and going hard is great, but I know my limits and sometimes it’s even more important to focus all your energy on one thing and get rest in between.